Groundswell V member Selma dreams big. My name is Selma, I am part of Groundswell V, the fifth cohort to enter the Groundswell community bright eyed and ready to learn, hopefully to come out at the other end with a viable social venture, ready to take on the world. Now how are we going to get there, you ask? I don’t know either. But we’re three weeks into the 6 month social venture program, so I can try to explain to you what we’re doing, as I try to make sense of it all myself. I’ve been raised, like so many in my generation, to see altruism and effort towards societal change as something you do outside of your ‘real’ job. You work for money, and whatever else it is you’re actually passionate about, or could make a difference in the world, is what you do in those two days a week that are not taken up by your job. I’m no longer willing to accept that. I believe there is a way to make a living by making the world a better place and in Groundswell I am handed the tools to help me with finding my way. The word ‘Entrepreneur’ does interesting things in my brain. It makes me think of suits. Money. Ego-driven ideas. Selling people something they don’t really need. Finding the oh so mysterious Gap in the Market, with that one Brilliant Idea. But I also found that I’m coming to the point where I fully realize that a traditional career of finding a lifelong full-time employer is not going to be for me. It is my goal to find a way to make a positive impact on my community, and on society as a whole, while also making a living off ‘me’. I’ve always been a person with ideas, but only in the last couple of years I’ve felt comfortable and confident enough to start expressing them and letting them take more coherent shape. Within the purpose economy we no longer look at the gap in the market. We try to find the gap in society, or the gap inside you. Maximum profit is replaced by the goal of maximum impact. It is no longer about “What do I want to make?” but about “What do I want to fix?”. I won’t go into the specifics of my Passion or my Idea in this post. You can find an introduction to all of us current “Groundswellians” here. Please check us out, we’re pretty rad. What I will talk about here is our process. How on earth are we supposed to get from the realization that business and passion and making the world a better place can (and should) all be combined, to actually walking away in six months as business owners? Let me use a brilliant philosopher, one we’re all acquainted with, to help show you what we’re doing at Groundswell: Winnie the Pooh. Benjamin Hoff wrote a beautiful little book called the Tao of Pooh, which illustrates quite nicely what we’re trying to do. Pooh bear is all about seeing the things As They Are. Our first couple months at Groundswell are about just that. Taking the time to look at yourself, your passions, ambitions, frustrations, and possibilities with openness, honesty, and patience, and seeing what bubbles to the surface. What are you passionate about? What is your history? Where are you coming from? Who are you? One tool that is helping us with this process is the purpose diagram, based on the Japanese concept of Ikigai, meaning "a reason for being”. This tool lets you identify larger themes in your life, and connect some pretty interesting dots in your quest to finding purposeful employment. Take a blank sheet of paper and a set of circles and let your mind wander. What: What have I got to work with? Skills, experience, network, opportunities. We’re challenged to not only answer these questions for ourselves, but reach out to the people closest to us for feedback. Our family, friends, (ex)coworkers, (ex)partners, have been accosted this last week to give us some straight answers to questions like: What are my biggest weaknesses? But also: What are my biggest strengths? Try it. As much as it’s scary, it will make your heart grow five sizes. Which: So many ideas, so little time. We haven’t reached the Which stage just yet, but we know it’ll involve magic-sounding concepts like Ideation and Validation. It will give us a chance to interact with you; our future clients, purpose economy enthusiasts, our target audience. Basically, we will be trying to look closely and honestly at all the ideas for ventures that are floating around in a cloud surrounding our brains, and pulling the most viable ones down to the ground, to build them up. What does Groundswell mean to you? You’re invited to join us for the ride: we will be blogging our progress, thoughts, random experiences, all for your enjoyment (and our process). Also: every Tuesday evening we invite speakers to share their stories with us on our Groundswell SocialS. Check out our scheduled events here, and come join us for a session. On November 1st, it’s our time to formally introduce ourselves to you. 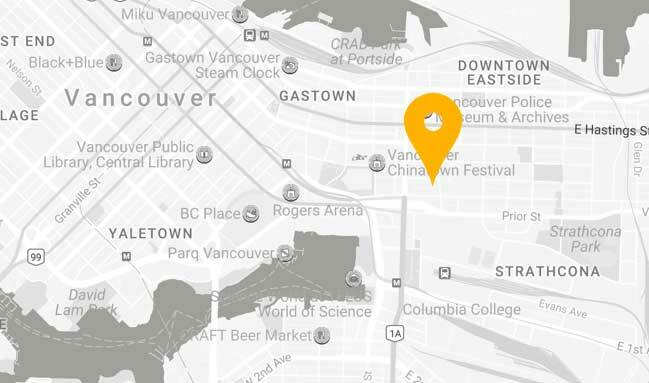 We will be hosting an event to showcase the diversity that has been created from the local Downtown Eastside community and the wider network that Groundswell has and is building. The purpose of this event is to raise awareness of the positive social impacts that this community is creating, with the intention of raising funds to be invested back into committed social projects. Keep an eye on the Groundswell website and Facebook page for more information on all of the above. Be inspired! And come to see us. We’d love to meet you.